Our brake repair services and the safety factor that your auto brakes deploy on your vehicles performance are both taken serious at North Side Auto-Repair. When addressing a clients auto brake system we always perform a complete 7 Point Inspection. 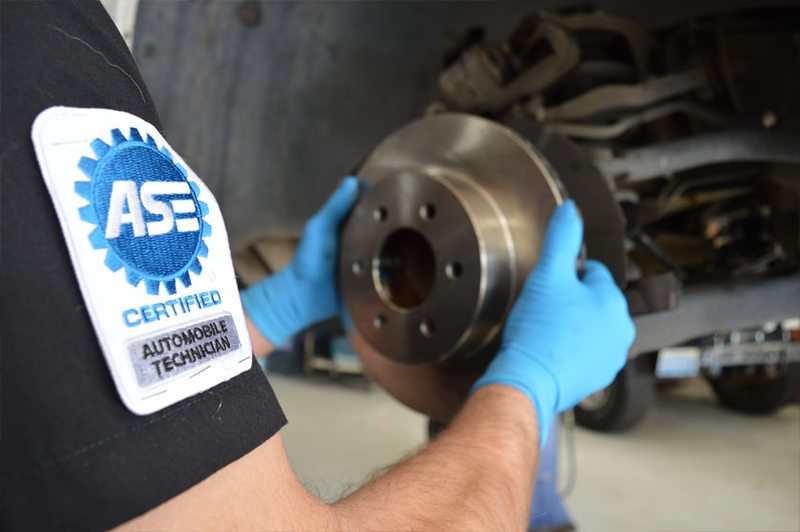 Before we send you back out onto the road we will inspect every aspect of your brake system to be sure there is nothing that requires further repair. Our clients safety is of the highest importance and if we can spot a problem before it actually happens we will extend that knowledge and piece of mind on to our clients. While there are many aspects to your vehicle which are critical to its performance, non are as important as its braking system. That is why when performing auto brake repairs, we cover a comprehensive check point list to be sure your entire system is functioning to its highest standard. If your experiencing any of the following when applying brake peddle pressure we would recommend scheduling a brake service inspection; Low or spongy brake pedal, hard brake peddle, brake warning lights, or continuously squealing/grinding brakes. If our inspection reveals that your brakes do require repair, we will explain exactly what’s required or what your options are and then provide you with a written estimate before any work is done. While having your brake done by a professional has many advantages, some may want to attempt to go the DIY route. If thats the case you may want to read up first, before a small project become overwhelming.